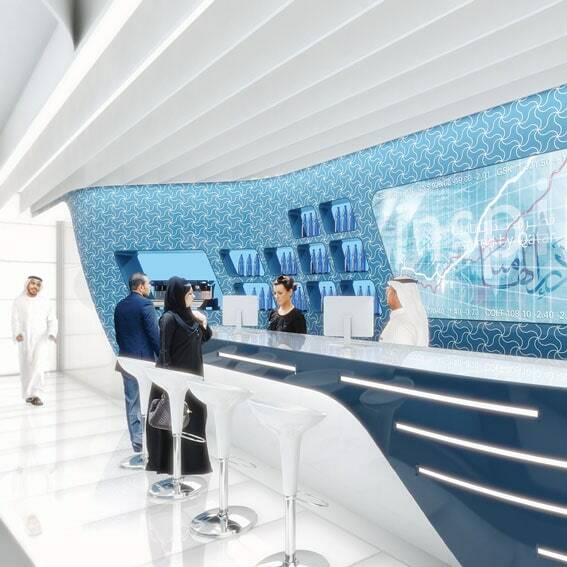 An interactive and multi-purpose contemporary bank branch. 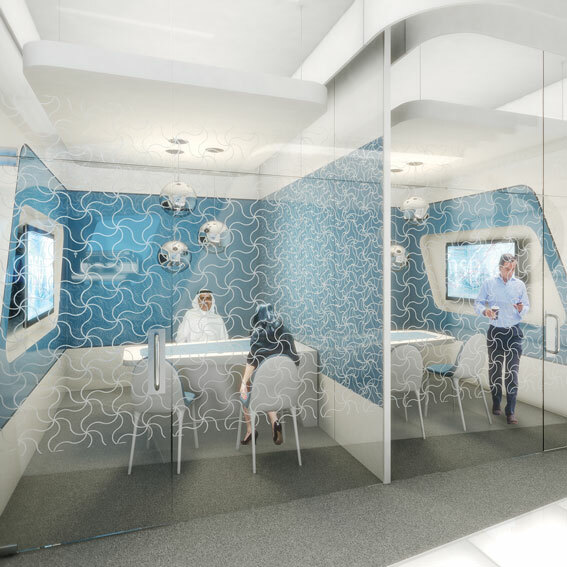 FDP has developed a new concept branch for a middle eastern client as a test-bed for new ways of banking, using the latest interactive and touchscreen technology supported by knowledgeable relationship banking. The branch offers a more relaxed and informal approach to retail delivery, where the model of free interaction and fluid movement through the space is supported by a hospitality bar style counter, and an immersive digital browse area. The branch transforms to allow the delivery of out-of-hours community and education events, with the browse area becoming a lecture and presentation space, and the private consultation rooms opening seamlessly into a large meeting and seminar facility.